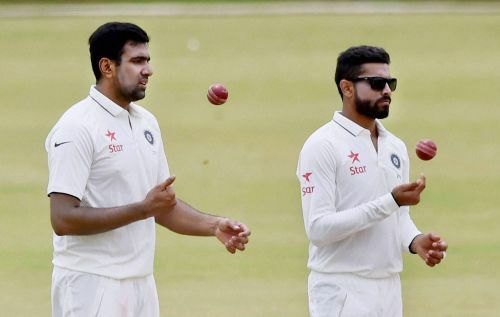 To say that spin bowling is the current Indian Test team’s weak link may seem like an oxymoron. After all, Indian bowling has historically been blessed with great spinners, while struggling to find a half decent fast bowler most of the time. But a closer look at the way Indian bowling line up has shaped up recently actually points at the fact that things are no longer the same. In fact, for the first time ever in Indian cricket history, India seem to have unearthed a set of fast bowlers who have the pace and skill set to be a force to reckon with on any part of the world, whether home or away. In the year just gone by, India played three overseas Test series against three powerhouse teams. Though India lost a close series in South Africa and a not so close one in England, neither series was lost because of lack of quality in India’s pace bowling. Rather, it was the inability of India’s batsmen, barring the exceptional Virat Kohli, that contributed heavily to India’s defeats. Indian pacers led by the ever-improving and ever-menacing Jasprit Bumrah, and consisting of other quality seamers in the form of Mohammed Shami, Ishant Sharma, Umesh Yadav and Bhuvneshwar Kumar ensured that India took twenty wickets in almost every Test they played. It can be argued that the weak link in India’s bowling attack was surprisingly in the spin department. Make no mistake, Ravichandran Ashwin is a first-rate spinner and his outstanding records speak for themselves. However, he is half the bowler in overseas conditions as he is in Asian conditions. There have been occasions when India banked on him to bowl India to victory in spin-friendly conditions abroad, only to see him fail while the opposition spinners with far less pedigree such as Moeen Ali ripping through the Indian batting, as was the case in the Southampton Test in 2018. In the ongoing series against Australia, India go to Sydney 2-1 up in the series. There is a lot of talk in the media as to how the spin-friendly pitch there will help the Indians more than the Aussies. But the fact of the matter is Australia has a better spinner in Nathan Lyon who can exploit the conditions better than either Ashwin or Jadeja. Whether it is due to the over spin that he gives to the ball unlike his Indian counterparts, or that he is simply a better bowler, the fact is this Indian team does not have the superiority over its oppositions in the spin department any longer, as had been the case for much of India’s cricketing history. Thank God, this Indian team is no longer inferior to its oppositions in the pace department, either! Does India have the best bowling attack in the world right now? Australia vs India 2018-19: Is MS Dhoni, the batsman, a weak link in the Indian ODI squad? Has the Indian Cricket team broken Australia's spirit?